Surrey, BC – Join us on 20 November in Surrey City Centre at Dominion Bar + Kitchen for an exclusive evening of Steel & Oak craft beer paired with delicious homemade classics. On 20 November, from 7:00 -9:30 pm guests will enjoy a two-hour seating led by Dominion’s Head Chef, Dylan Ellis, and Steel & Oak’s Account Manager, Jay Schreiber. 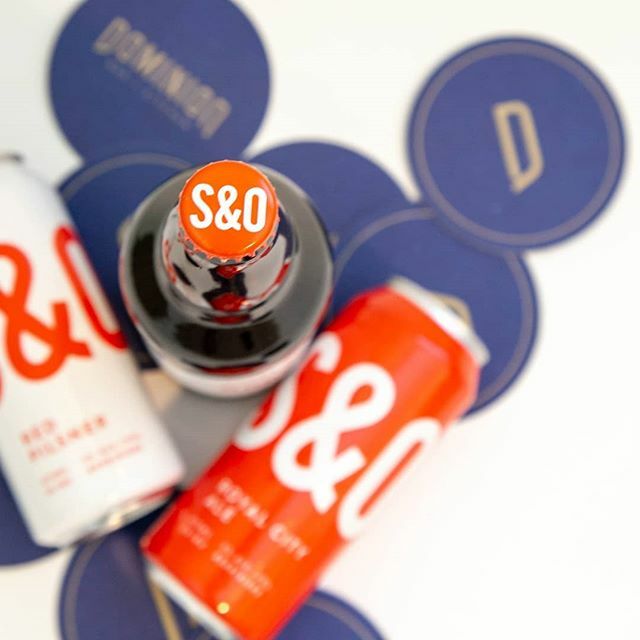 Guests receive a welcome beer and four samples of S&O favourites, like the Royal City Ale and Baltic Porter, and family-style handcrafted cheese, artisanal meats, tender prime rib beef sliders, and apple streusel. Where: 13475 Central Avenue, Unit D1, on Surrey Civic Plaza. Public underground parking is available beneath Civic Plaza. Access the parking lot from University Drive near the Surrey Public Library. Stay connected with us on social: Facebook, Instagram, and Twitter: @DominionSurrey Hashtag: #DominionSurrey. Dominion Bar + Kitchen is owned and operated by Surrey-based Century Group, a mixed-use real estate development company responsible for 3 Civic Plaza in the centre point of Surrey City Centre. Dominion Bar + Kitchen is located in the lobby of Civic Hotel, Autograph Collection®, the first world-class hotel built in the area in over two decades. With views that overlook Surrey Civic Plaza, a vibrant public square with immediate transit access and pedestrian walkways, Dominion Bar + Kitchen is the culinary destination for residents of and visitors to Surrey.